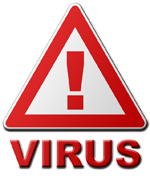 At Netserv IT, we are experts at virus removal. We will find and destroy the virus and have your system working better than ever. We can also work with you to recover your data and setup an online backup to protect your data.